Club members and guests at our Christmas dinner donated £138 to support the RSPB reserves that suffered so much damage in the storms a few weeks ago. This amount was matched by Naturediet Pet Foods Ltd so a total of £270 was donated. 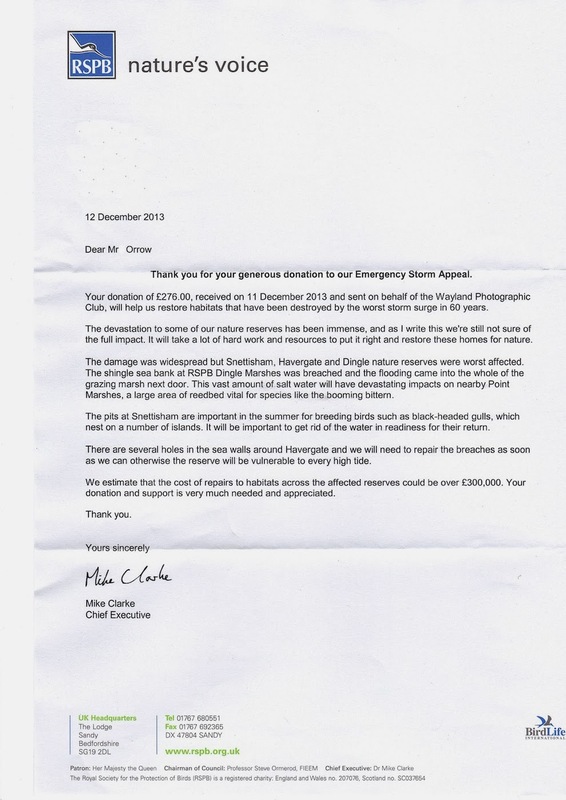 We have just received this letter of thanks from Dr Mike Clarke, RSPB Chief Executive. Let's hope the habitats and the wildlife make a good recovery.